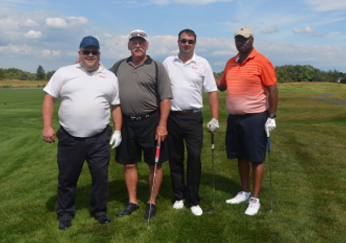 The Somerset Patriots Children’s Educational And Sportsmanship Foundation (EIN: 20-1088378), the official 501(c) 3 charity of the Patriots, was established to support the community that has been extremely supportive of the team since it was formed. The Somerset Patriots have teamed up with the Fraternal Order of Eagles Aerie #2137 for a special program to donate tickets and raise money for non-profits throughout Central New Jersey. 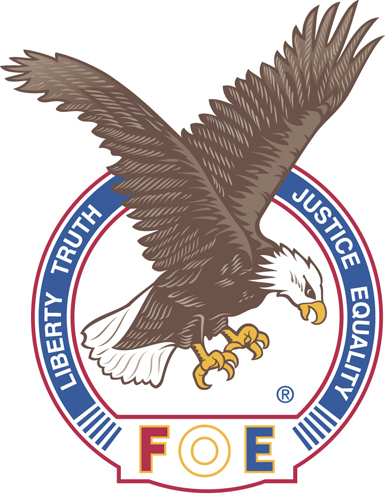 The Fraternal Order of Eagles Aerie #2137 has a long history of charitable work supporting both local as well as national causes. The motto “people helping people” is the driving force behind their efforts to help those less fortunate throughout the community. 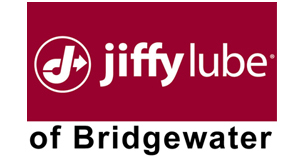 Over the years, Bridgewater Aerie # 2137 has provided monetary support for programs that assist the homeless and hungry, funded scholarships for deserving high school seniors, donated to groups that assist our veterans as well as local police, fire and rescue groups. In addition to the tickets being donated with the Fraternal Order of Eagles Aerie #2137, the organization has teamed up with the Somerset Patriots to give $100 for every home run hit at home by a Patriots player to a deserving local charity. The “Home Runs For Charity” program will make sure that the home runs hit by the team don’t just make a difference on the field, but larger wins off it. 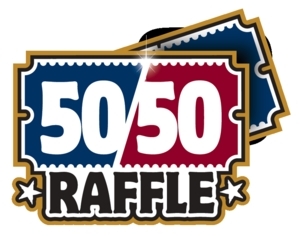 At almost every Somerset Patriots home game, the team hosts a 50/50 Raffle to benefit local charities throughout our area. Be sure to purchase a ticket when you are at the ballpark and you can go home a winner! 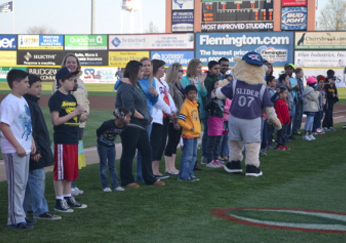 Through events and donations throughout the year, the Somerset Patriots Children's Educational And Sportsmanship Foundation has made monetary donations to other worthy groups such as Operation Shoebox New Jersey, The Carrier Clinic, The National MS Society, American Diabetes Association, Hugs For Brady, Somerset Health Care Foundation, and The Beez Foundation to name a few. 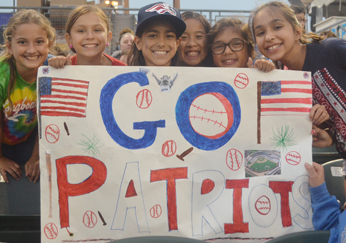 The Somerset Patriots Children's Educational And Sportsmanship Foundation donates tickets and special high end experience packages such as Suite Nights to non-profit organizations to use at fundraising events throughout the year. 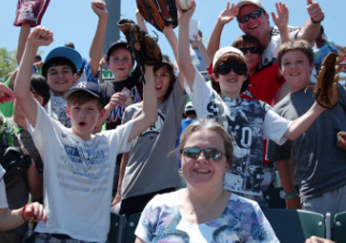 The Somerset Patriots Children's Educational And Sportsmanship Foundation provides tickets to those less fortunate throughout the season to enjoy time out at the ballpark. 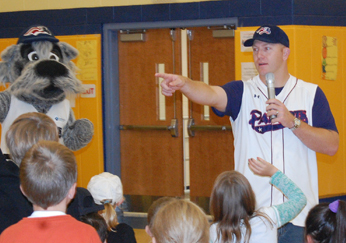 The Somerset Patriots have had players and coaches travel to schools to discuss important topics such as bullying, making the right choices, and saying no to drugs and alcohol. The most recent school program, Strike Out Bullying, appeared in 35 schools over a two year period. 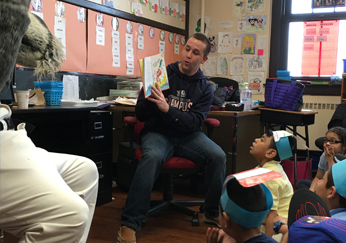 The Somerset Patriots work with schools throughout Central New Jersey to encourage students to read for fun through the Reading All-Stars program. Students read a certain number of books over a month’s time to earn Somerset Patriots tickets. Over 5,000 students participate each year and over 50,000 students have read books since the program started over 10 years ago. The program also runs in the summer when libraries offer the program for kids to continue reading to earn additional tickets. The Summer Reading All-Stars program sees another 3,000 readers a year and over 30,000 children participating since its inception. 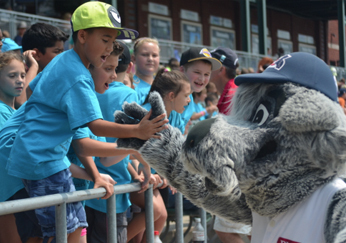 The Somerset Patriots work with our partners at the Courier News/ Home New Tribune/ MyCentralJersey.Com to encourage kids to read and earn tickets to a special Somerset Patriots game hosted in August each year. Over 250 kids get to attend the game each year with their families for completing the requirements of the program set forth by the Courier News/ Home New Tribune/ MyCentralJersey.Com. 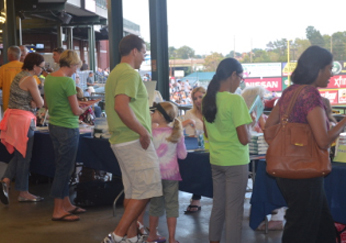 Kids and their parents were able to meet local children’s book authors at the Super Summer Readers Night hosted at the ballpark. The Somerset Patriots host two nights to welcome the Teachers of the Year from schools located in Somerset, Middlesex, Union, and Hunterdon Counties. Each year, over 100 teachers are honored down on the field before the games and receive complimentary tickets for their families and students. Each season, the Somerset Patriots honor the Most Improved Students from schools in Somerset, Middlesex, Hunterdon, and Union counties. Students are nominated by their teachers and then invited to enjoy a game with their family and friends at the ballpark. The students are recognized down on the field in a pre-game ceremony. 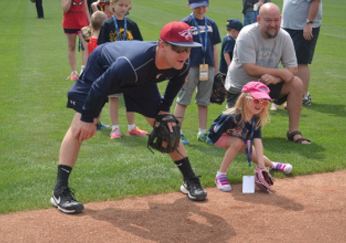 Every season, the Somerset Patriots host free Kids Baseball Clinics at the ballpark to teach children the fundamentals of the game. 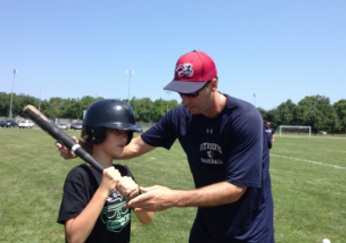 Children of all ages come out to the event to learn the basics and interact with Somerset Patriots players and coaches. Every year, the Somerset Patriots work with the Somerset County Park Commission for Patriots Day at Camp Okee Sunokee. Camp Okee Sunokee is a six-week summer program for children with learning disabilities or Aspergers Syndrome, a form of autism. 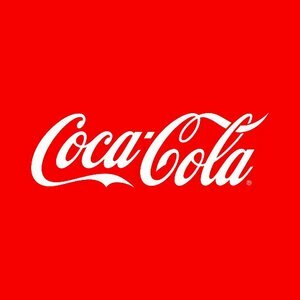 The purpose of the event is to teach the children some skills related to baseball, including hitting, fielding, catching, and throwing. 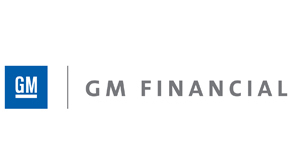 The event is also designed to give the children the opportunity to improve gross and fine motor skills, increase self-esteem, and meet players from the Somerset Patriots. 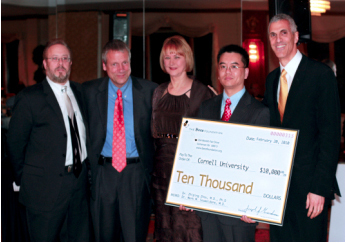 Through events during the year, highlighted by the Somerset Patriots Golf Classic and Fan Club Basket Raffle, the Somerset Patriots Children's Educational And Sportsmanship Foundation has made monetary donations to charities throughout the area. The Somerset Patriots like to provide companies a way to give back by purchasing blocks of tickets that are donated on your behalf to organizations such as the United Way, Big Brothers Big Sisters, Red Cross, Make A Wish Foundation, Easter Seals, and many more. Your tickets will be donated through our 501(c )3 Children’s Educational and Sportsmanship Foundation and is classified as a tax write off.